This Blanco Single Lever Mixer Tap BLANCOCULINA with flexi arm features solid DR brass body and an ultra modern integrated design so that it can be integrated into any sink design. It also features a 360° swivel spout, ceramic disk valving and a high clearance outlet. High Gloss Chrome Finish: Easy cleaning and maintenance free. 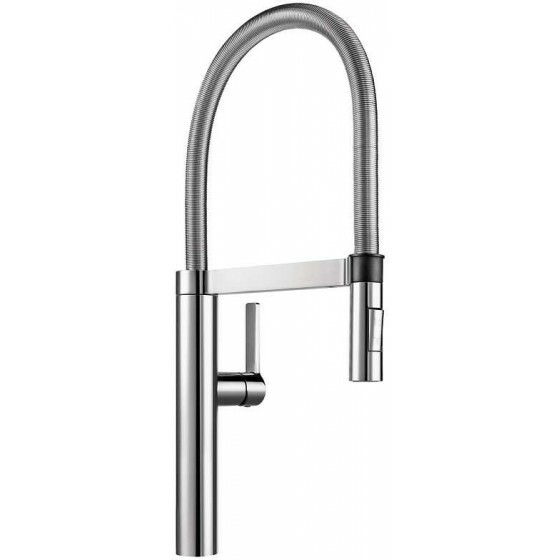 360° Swivel Spout: Allows better access to the sink for washing large items. Integrated Design: Integrated into any sink design. Made in Italy: European styling and engineering.